NEW YORK, NY—(Marketwired – Dec 10, 2014) – Bernstein Litowitz Berger & Grossmann LLP (“BLB&G”) today announced that it has filed a securities class action lawsuit on behalf of the Chester County Employees Retirement Fund against Tesco PLC (“Tesco” or the “Company”) (OTC: TSCDY), as well as certain of the Company's officers and directors (“Defendants”). The action asserts claims under the Securities Exchange Act of 1934 (“Exchange Act”) on behalf of investors in Tesco American Depositary Receipts (“ADRs”) during the period of April 17, 2013 through October 22, 2014, inclusive (the “Class Period”). A copy of the Complaint filed in the action, captioned Chester County Employees Retirement Fund v. Tesco PLC, No. 1:14–cv–9757 (S.D.N.Y. ), is available on BLB&G's website at www.blbglaw.com. The Complaint expands the class period that was asserted in a related action against Tesco, captioned Irving Firemen's Relief and Retirement Fund v. Tesco PLC, No. 14–cv–8495–RMB (S.D.N.Y.) (“Irving“), which is the first–filed securities class action in this matter and is presently pending before the Honorable Richard M. Berman. Pursuant to the notice published on October 23, 2014 in connection with the filing of the Irving action, as required by the Private Securities Litigation Reform Act of 1995, investors wishing to serve as lead plaintiff are required to file a motion for appointment as lead plaintiff by no later than December 22, 2014. In addition, Judge Berman entered an order on November 25, 2014 stating that motions seeking appointment as lead plaintiff must be filed by December 22, 2014. The filing of the Complaint by BLB&G does not alter that deadline. The Complaint alleges that beginning on April 17, 2013 and throughout the Class Period, Tesco and certain of its senior executives violated provisions of the Exchange Act by disseminating false and misleading press releases, financial statements, and statements during investor conference calls. As alleged in the Complaint, throughout the Class Period, Tesco and certain of its senior executives misrepresented Tesco's financial results and operations by, among other things, improperly recognizing commercial income and delaying the accrual of costs under the Company's arrangements with its U.K. suppliers. On September 22, 2014, Tesco disclosed that the Company had identified a “serious” accounting issue and had overstated profits for the first half of the year by at least £250 million ($400 million) by improperly and prematurely recognizing revenue and delaying accrual of costs. Tesco also disclosed that it had suspended a number of senior executives and announced that it had hired an external auditor to investigate the accounting manipulations. On October 23, 2014, Tesco disclosed that the size of the misstatement was actually at least £263 million ($420 million), that similar improper accounting practices had impacted its reported financial results in prior periods, and that the Company's chairman was resigning. In the wake of these disclosures, Tesco securities have plunged in value, with the Company's ADRs losing over half of their value in the past year. The action asserts claims under Section 10(b) of the Exchange Act against the Defendants, and asserts claims under Section 20(a) of the Exchange Act against certain of the Company's officers and directors. The deadline for filing a motion for appointment as lead plaintiff is December 22, 2014. Any member of the proposed Class may move the Court to serve as lead plaintiff through counsel of their choice, or may choose to do nothing and remain a member of the proposed Class. If you wish to discuss this action or have any questions concerning this notice or your rights or interests, please contact Avi Josefson of BLB&G at 212–554–1493, or via e–mail at avi@blbglaw.com. BOGOTA, COLOMBIA—(Marketwired – Dec 10, 2014) – Last week the Colombian Coffee Growers Federation (FNC) celebrated its LXXX National Congress of Coffee Growers. Composed of elected representatives from all coffee growing regions, the Growers Congress is the highest deliberative body of the FNC. They met on behalf of the more than 500,000 Colombian coffee growing families, to define the priorities of their industry for the upcoming five years, 2015–2020. The five year strategy contains initiatives to more efficiently manage production costs and increase productivity by using new and customized technologies accessible to individual growers; It also includes topics such as the development and deepening of markets for Colombian coffee around a policy supported on quality, differentiation and value creation for the farmer; in addition, adaptation and mitigation of climate change and the management of climate risks will also continue to be a priority for the FNC. Over the past five years, the FNC has focused its efforts on changing Colombian coffee trees for more productive and rust–resistant varieties through ambitious plant renovation programs. These efforts, which have resulted in renovating nearly 3.2 billion coffee trees, have improved the productive capacity of nearly 500,000 small coffee growers in Colombia. As a result, Colombia is now again repositioned as the most important source of high quality coffees demanded by the market while other Arabica producers are facing big challenges as a result of climate change. Thus, climate change and the need to adapt to new challenges remains a key topic for Colombia's coffee growers. The new plan also includes a social investment component directed to improve access to social security and the development of investment programs that strengthen the social fabric in coffee growing areas through public and private partnerships. Gender equality and leadership programs will also be part of the new strategy aimed at 553,000 families that produce coffee in the country. During the sessions, both Government officials, including President Juan Manuel Santos and his cabinet ministers and coffee grower representatives, agreed on the fact that no other economic activity can generate the income and social development that coffee does in the rural areas of Colombia. That is why it was underlined that the FNC remains a key actor for the construction of social fabric in rural areas of the country and an agent of change and promotion of peace, as different academic studies have shown. The FNC's contributions to Colombian rural development and well–being of coffee farmers were showcased during the Grower´s Congress by national and international experts who were invited to participate as speakers. Bruce Bagley, professor of International Relations at the University of Miami and an expert on Colombia, mentioned that the FNC has been key to the delivery of development programs and the building of social capital in many coffee growing regions, which today are the most prosperous and least violent areas of rural Colombia. The role of the FNC, he stated, should extend to other historically marginalized regions so that, at this juncture of the search for peace, they will not be at the mercy of new illegal organizations or gangs, given the difficulties of the state to reach these areas. Another important pillar of the FNC´s 2015–2020 strategy is rural education. The main goal is to invest in bold education programs that contribute to strengthening its quality and relevance, while providing wider coverage for coffee communities. At the same time, the aim is to encourage younger generations to participate in coffee growing activities, improving the lives of their families and maintaining the quality of Colombian coffee. Lastly, the topic of the environment and sustainability will continue being of utmost concern and priority for the FNC in the coming years. Colombian growers are committed to maintain their position at the forefront of technology in order to combat climate change and ensure sustainability, and the FNC will also continue to promote the conservation of biodiversity and natural resources in order to protect the Colombian land and its water sources. The National Coffee Growers Congress also concluded with a majority support for the FNC's current CEO, Luis G. Muñoz, whose report to Congress was accepted by all delegates. SARASOTA, FL—(Marketwired – Dec 10, 2014) – Sun Hydraulics Corporation (NASDAQ: SNHY) has announced a $0.09 per share cash dividend on its common stock. The dividend is payable on January 15, 2015, to shareholders of record as of December 31, 2014. Sun Hydraulics advises all shareholders to familiarize themselves with rules regarding dividends, payment dates and ex–dividend dates. See the following website for more information http://www.sec.gov/answers/dividen.htm. Sun Hydraulics Corporation is a leading designer and manufacturer of high performance screw–in hydraulic cartridge valves and manifolds for worldwide industrial and mobile markets. For more information about Sun, please visit our website at www.sunhydraulics.com. LONDON, UNITED KINGDOM—(Marketwired – Dec 10, 2014) – This Christmas, visitors to the London Marriott Hotel West India Quay and the Marriott Executive Apartments London, West India Quay might have some question over whether or not they're in Kansas anymore. For while these hotels near The O2 arena in London immerse guests in a sleekly beautiful aesthetic and modern amenities, they are also partnering with Warner Brothers to rekindle the magic of “The Wizard of Oz”. And that means guests get to float between the disparate worlds of cosmopolitan London and Old Hollywood glamour during the most magical month of the year. The journey begins when guests arrive at the lobby of these connected London Docklands hotels and discover Dorothy's house has departed the Kansas prairie and the mythical Oz to arrive near the check–in desk. With the ruby slipper–clad feet of the Wicked Witch of the East ominously protruding from the house's foundation, and the yellow–brick road winding toward the Emerald City in the distance, visitors may well believe for a moment they're someplace other than London. And when that reverie ends, they can snap a photo and upload it to Twitter or Instagram. The idea behind the dramatic scene, after all, is not just to promote the launch of the newly re–mastered 3D version of the movie. It's also designed to initiate a social–media contest celebrating the perks of travelling with Marriott. To participate, visitors simply snap a photo of the hotel's decorations, cocktails or other culinary delights and then use the hashtag #NoPlaceLikeMarriott when uploading it. Of course, at this London apartment hotel, guests have their choice of perks, especially at the G&Tea bar. There, visitors can take selfies as they sip one of the three specialty cocktails crafted in honor of the movie: the Cowardly Lion (Jose Cuervo Gold, Grand Marnier and orange juice), the Scarecrow (amaretto with white cacao and Prosecco) or the Tin Man (vodka, blue curacao, crème de cassis and lime juice). 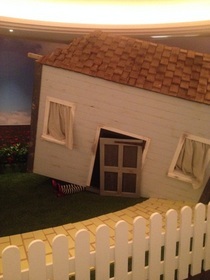 Like Dorothy's house, the social–media competition will be in effect through 31 December 2014. The best picture will earn its photographer a five–night stay at the Manhattan Beach Marriott, along with flights to Los Angeles and a tour of Warner Brothers Studios. And 74 runners–up will receive a copy of the new, 3D version of “The Wizard of Oz”. With so much magic swirling about the two properties, no one will be in any hurry to click those ruby slippers together and go home. Offering 5–star service in the Canary Wharf district, the London Marriott Hotel West India Quay features 279 guest rooms, 22 suites, 20 meeting rooms, four concierge levels and one state–of–the–art health club for the ultimate in guest convenience. The two restaurants, Manhattan Grill and G&Tea, embrace contemporary style and locally sourced food with equal gusto for a quintessentially modern British dining experience. And for those hoping to partake in London's biggest events, this hotel puts them near London's biggest venues, including ExCeL and The O2 arena. Ideal for travellers looking for more space or extended–stay accommodations, the Marriott Executive Apartments London, West India Quay combine style and service in exciting ways. Guests can choose from studio and one– or two–bedroom apartments, all of which feature full kitchens, entertainment centers and dedicated workspaces. Touches like complimentary grocery delivery service and plush bedding enhance any stay, whether it's for business or pleasure. And the hotel's two restaurants; more than 8,000 square feet of contemporary function space; and convenient location near event venues, restaurants and shopping make every visit as convenient as it is memorable. NEW YORK, NY—(Marketwired – Dec 10, 2014) – Cenegenics and Dr. Shapiro unequivocally refute the claims and allegations made by AnnMarie Miglorino, a former employee of Cenegenics' New York City office whose employment was recently terminated, against Dr. George Shapiro, a Cenegenics Partner and well–respected clinician. Cenegenics and Dr. Shapiro will be taking any and all legal actions necessary to dispel these accusations. During the course of her employment with Cenegenics, AnnMarie Miglorino never reported these claims. Cenegenics is the foremost leader in Age Management Medicine (AMM). Founded in 1997, Cenegenics oversees 22 age management practices across the country, employing more than 800 physician partners and staff. CHATTANOOGA, TN—(Marketwired – Dec 10, 2014) – Anyone familiar with competitive youth sports knows that to go far metaphorically, families generally have to go far literally. Case in point is the Athletic Championships' upcoming dance and cheer competition in Chattanooga, TN. As nearly 5,000 athletes arrive for the platinum competition on January 17 and 18, 2015, only the TownePlace Suites Chattanooga Near Hamilton Place can make them feel truly at home with award–winning service, extended–stay accommodations and comforting amenities. And that may just make the difference between a successful event and waiting for the next one. This year's Chattanooga championship attracts a strong following for many reasons. Two state–of–the–art competition arenas give athletes a place to shine, while cash prizes adding up to $10,000 inspire teams to give it their all. This event also features a special “Groove” competition for dance teams that includes master classes taught by the choreographers behind “American Idol,” Beyoncé and other renowned performances. Whether groups are looking for suite–style lodging, or individuals are seeking Chattanooga hotel packages, this hotel near Hamilton Place Mall has something to accommodate everyone. Its 87 suites feature living and sleeping areas along with fully–equipped kitchens for guests' convenience. Plus visitors arriving at this extended–stay hotel in Chattanooga, TN will find themselves just a 15–minute drive away from the Chattanooga Convention Center where the competition is scheduled to take place. While the property is an easy distance from the championships, its relaxing features create the sense that guests are worlds away. Unique among hotels in Chattanooga, TN, the pet–friendly property offers a fitness center, indoor pool and outdoor patio with a handsome stone fire pit, amenities that let athletes fully unwind in between sets. And its complimentary breakfast each morning ensures that no athlete or spectator will head to the championships on an empty stomach. Between the expansive accommodations and thoughtful amenities, this extended–stay property provides a seamless hospitality experience that lets athletes and their families focus on the thing they come to do: Perform beautifully. The TownePlace Suites Chattanooga Near Hamilton Place welcomes business and leisure travelers with its trademark blend of award–winning service and value–added amenities. Guests enjoy conveniences like flat–screen HD televisions and thick mattresses in the suites, not to mention kitchens outfitted with dishwashers, microwaves, refrigerators, stoves and dishes. Business travelers also appreciate the guest rooms' generously–sized home offices with well–lit desks and personalized voicemail, as well as the hotel's 24–hour business center. Elsewhere on property, amenities include an indoor pool, 24–hour fitness center and complimentary Wi–Fi to let travelers maintain their routines even while they're on the road. Complimentary daily breakfasts keep travelers energized, whether they're heading to nearby businesses like Volkswagen and the Amazon Distribution Center, or going shopping at the Hamilton Place Mall. And with the Chattanooga Airport less than 10 minutes away, even getting to and from the hotel is a pleasure. WASHINGTON, DC—(Marketwired – Dec 10, 2014) – The Courtyard Washington Capitol Hill/Navy Yard is capturing the spirit of the season by partnering with the local Waterfront Church, and inviting children to its Pictures With Santa event on December 12, 2014 from 5 to 9 p.m. With photographs, cookies and a toy drive benefiting the DC Child and Family Services Agency, visitors will have the chance to give a gift and receive a complimentary photo. Guests will have no trouble finding Santa, thanks to the hotel's convenient location near the Washington, D.C. Metro. As visitors enter the new lobby with its rich wood paneling, low–slung furniture and vibrant blues and ambers, the anticipation builds until at last they come face–to–face with jolly old St. Nick himself. Children can capture the encounter with a complimentary photograph before sampling some of the Christmas cookies and hot cocoa offered as a courtesy of the hotel and Waterfront Church. And for added holiday fun, there are bounce houses specially provided for this event. While “Pictures With Santa” presents an ideal opportunity for children to think about what they want for Christmas, these accommodations near Capitol Hill also work to help improve the welfare of the community's children in foster care. The hotel is proud to sponsor a toy drive this month to benefit the DC Child and Family Services Agency. The organization serves 3,000 children and youth in the District's child–protective system. Like other Marriott hotels in Washington, D.C., this property is committed to giving back to its community, whether that's by hosting a free holiday event or by collecting donations to make the season a little brighter for those in need. As one of the premier hotels near the Washington, D.C. metro, the property enables travelers from all over the world to celebrate in their home–away–from home. And it's that spirit of goodwill that makes the season — and the hotel — so special. 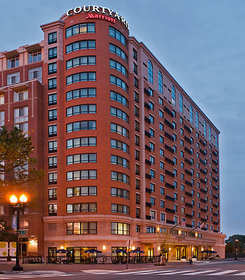 The Courtyard by Marriott Washington Capitol Hill/Navy Yard is managed by Crestline Hotels & Resorts. Visitors enjoy the best location and accommodations as the hotel is just steps away from the Washington Nationals Baseball Stadium and within easy access to landmarks like Capitol Hill, the National Mall and the Navy Yard. The newly renovated, 14–story hotel has just as many exciting features inside as it does nearby. Guests can relax in one of the 204 guest rooms or 12 suites with luxury bedding, mini–refrigerators, free high–speed Internet access and 32–inch, flat–panel LCD televisions. The Bistro serves healthy options for breakfast and dinner, and the fitness center and indoor pool are perfect for guests who want to stay active while on the road. Corporate guests will benefit from seamless service in the 2,215 square feet of flexible meeting space. 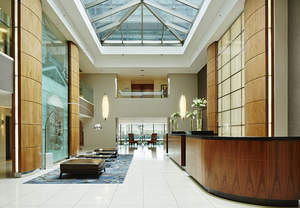 For more information and reservations, visit http://www.marriott.com/hotels/travel/wasny–courtyard–washington–capitol–hill–navy–yard/ or call 202–479–0027. 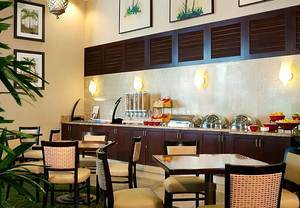 AVENTURA, FL—(Marketwired – Dec 10, 2014) – Residence Inn Aventura Mall is set to entice travelers this season, with the announcement of new offerings and enhancements to its food and beverage services, including its complimentary breakfast buffet, social hour, and lobby amenities. The changes are poised to make the extended stay hotel in Aventura a must–stay for guests in search of finely tuned food offerings and freshly–prepared fare. The hotel's complimentary breakfast buffet now features a new hot seasonal egg scramble mix, as well as a third waffle station for kids to mix and match their favorite toppings and create their perfect waffle masterpiece. Breakfast hours have also been extended until 10:30 AM on weekdays and through 11:00 AM on weekends in order to better serve guests throughout the season, while the hotel's new chef focuses on food quality and consistency, using the freshest ingredients available. Starting January 1st, the hotel invites guests to a new mix social hour, with light fare offerings. The program will place special focus on truly local flavors and experiences unique to the area. The social hour moves out of the buffet space and boasts a brand new ambiance, with flameless candles and fun events on the TV, as well as music to set the tone of the evening. Outside of the hotel there are many nearby restaurants including amazing options across the street at the Turnberry Isle Resort Miami, such as BOURBON STEAK Miami, a Michael Mina Restaurant and CORSAIR, by celebrated and award–winning chef Scott Conant (opening soon). Brand new lobby amenities and treats complete the enhancements including a 24–hour coffee station, flavored water station, afternoon cookies, green apples in the morning, and organic candy throughout the day. The Aventura Miami hotel's 191 spacious suites each come equipped with full kitchens and guests can choose from a Studio Suite, One Bedroom or Two Bedroom options. The complimentary hot breakfast buffet is served daily and social hour is served Monday through Wednesday. The hotel also offers complimentary Wi–Fi and parking. The property is located between Miami and Fort Lauderdale Airports and Cruise Ports. And the hotel is situated next to the famous Aventura Mall and minutes from the Village of Gulfstream Park Racing and Sunlife Stadium. Its pet–friendly accommodations are minutes from shopping, dining, entertainment, Sunny Isles Beach and Hallandale Beach. This stylish hotel offers convenient access to all of the greater Miami area, and provides an ideal environment for work and play. Fully–equipped kitchens in every suite allow guests to prepare meals on their time. The hotel offers a complimentary breakfast buffet every morning, as well as an evening hospitality hour Monday through Wednesday. For guests in Aventura to work, they'll appreciate a spacious desk in–room, as well as free Wi–Fi internet throughout the hotel. Guests can maintain a workout routine at our fitness center, or soak in the Florida sun at the outdoor pool. Its convenient location places guests just moments from shopping at Aventura Mall, as well as offering easy access to Aventura Hospital, Memorial Cancer Institute, Florida International University–Biscayne Bay Campus and Johnson & Wales University. LINTHICUM, MD—(Marketwired – Dec 10, 2014) – For those looking to mark the holidays with spectacular attractions, gifts no one else can find and a dash of historic charm, the BWI Airport Marriott can make all of it — and more — happen. This remarkable option among hotels by downtown Baltimore not only places guests just minutes away from destinations like Annapolis and Baltimore Inner Harbor, but it welcomes them with well–appointed accommodations, diverse dining and enough amenities to make it feel like Christmas every day of the year. Located among hotels near Arundel Mills Mall, the property makes it easy for guests to snag deals at Neiman Marcus Last Call, Saks Fifth Avenue Off 5th and other outlet stores while holiday shopping. And the close proximity to Annapolis puts that city's boutiques and shops well within reach. Visitors can browse one–of–a–kind shops in the Historic District before wrapping up their holiday shopping on Maryland Avenue. 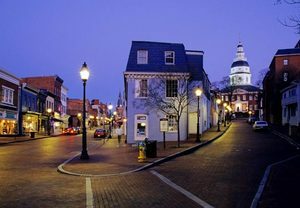 This stretch of more than 20 specialty stores (including galleries, antique shops and boutiques) enjoys the distinction of being Maryland's oldest commercial street in continuous use. Visitors can also make a day trip to Washington, DC. to get a look at the glittering National Christmas Tree, as well as the countless national landmarks. 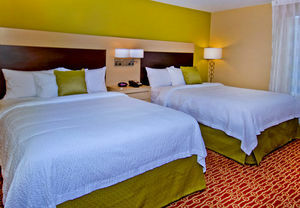 As one of the most accommodating Baltimore Airport hotels, the BWI Airport Marriott offers all the convenience of a central location with the luxury of a world–class hotel. And in addition to its modern guest rooms, inviting lobby and heated indoor pool, the property is offering one of the best BWI hotel deals designed to let visitors explore the area this season. The “It's a Waterfront Life” package offers competitive rates (between $169 and $339 per night) and includes breakfast for two adults and two children under 12. The decadent breakfast buffet at Chesapeake, which features everything from fresh fruit to French toast, is designed to fuel travelers as they explore the many exciting nearby attractions. To secure the “It's a Waterfront Life” package (available through January 31, 2015), travelers may use the promotional code S4B when making reservations online or by phone at 1–800–834–6704. Located just a shuttle ride away from the Baltimore–Washington International Airport, the BWI Airport Marriott welcomes guests with elegant, modern charm. Visitors find themselves conveniently located near Baltimore's business district, Washington, D.C., historic Annapolis, Inner Harbor, sports stadiums and more, making the hotel a perfect destination for both busines and pleasure. In addition to the 309 well–appointed guest rooms, the property offers a new lobby, a fitness center and an Olympic–size ping–pong table for family fun. Two restaurants, as well as a Day/Night Bar with a Starbucks Lounge and complimentary Wi–Fi, satisfy any craving. And the 18,000 square feet of meeting space (including a 1,200–person Grand Ballroom) hosts conferences and social events with ease. TORONTO, ONTARIO—(Marketwired – Dec 10, 2014) – The Board of Directors of CSA Group announced today that the organization's President and CEO, Ash Sahi, has decided to retire next year. Together with Mr. Sahi, the Board of Directors will conduct the process to choose a successor and will consider internal and external candidates for the job. CSA Group is an independent, not–for–profit member–based association dedicated to advancing safety, sustainability and social good. We are an internationally accredited standards development and testing & certification organization. We also provide consumer product evaluation and education & training services. Our broad range of knowledge and expertise includes: industrial equipment, plumbing & construction, electro–medical & healthcare, appliances & gas, alternative energy, lighting and sustainability. The CSA mark appears on billions of products around the world. For more information on CSA Group, visit www.csagroup.org.